Google Cloud Storage offers just two options – A Tokyo-specific pricing for the North East Asia regions and a general pricing for the rest of the world. Users are charged the same rate irrespective of whether they store 50GB or 1000TB worth of data. When it comes to pricing, Google Cloud might be a better choice. Though all three service providers offer a pay-as-you-go model of billing, Google Cloud and Microsoft Azure charge the user at a per-minute basis. Amazon S3, on the other hand, costs users on a per-hour basis. This, coupled with the fact that Google Cloud offers a useful mix of a different storage class options which make it more scalable than Amazon and Azure, convinces us that Google Cloud site above the other two service providers in the pricing aspect. In this section, we'll talk about the different customer support services offered by Amazon S3, Microsoft Azure, and Google Cloud. As expected, all three provide free necessary support and paid premium support aimed at production environments and developers. Besides the free, basic support, Azure provides the option to pay for an additional three layers of advanced support. *Technical support also includes non-Microsoft technologies that are running on Azure. 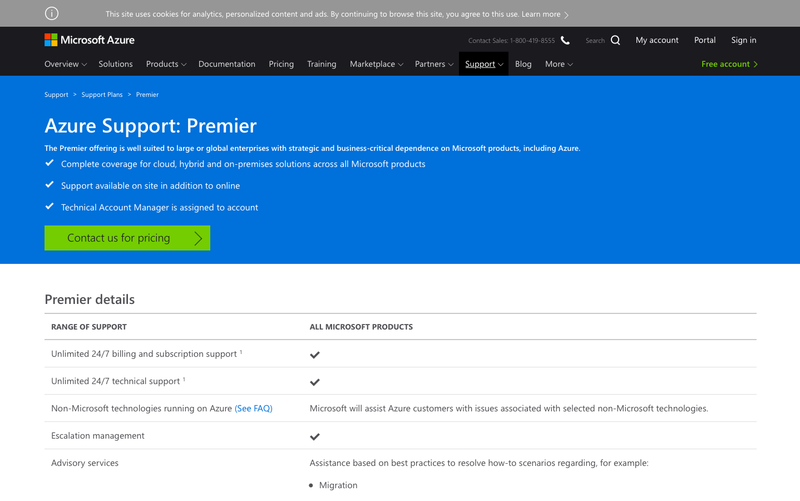 Azure also has a 'Premier Support' option. This covers every Microsoft product, has a response time of fewer than 15 minutes and also provides the subscriber with personal account management and advisory service. The pricing for Premier Support is available only by requesting a quote. All support requests start with a ticket. Live chat or telephonic support is not an option. That said, given the nature and severity of your issue, a support request may result in a live conversation in case that can provide a quick resolution. Free support at Amazon S3 gives you 24/7 access to support for basic troubleshooting and billing related problems. Amazon's support portal also has reference material including documentation, white papers, and forums for common issues. Technical support for the developer support plan can be accessed only via email. This puts you in touch with a cloud support associate. Enterprise and Business technical support includes a live chat and a telephone support option. Additionally, you will have more experienced cloud support engineers assisting you instead of a support associate. The response time for technical support is dependent on the severity of the problem. General inquiries usually have a response time of 24 hours. Customer support for Amazon S3 is managed via a central support platform. Users can find notes on current issues as well as create and monitor helpdesk tickets. Similar to Microsoft and Amazon, Google Cloud Storage also provides support for billing inquiries while technical support is a paid service. Google's tutorial support center is free to access. This has documentation on basic FAQs, tutorials as well as community forums. 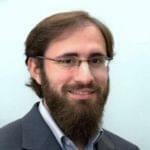 An advantage here is that due to Google's sheer popularity with developers, it can boast of one of the most active community base of any cloud service provider. Another area that Google scores above its peers is in the sound tutorial libraries it has built. Also, it goes without saying, all these libraries are indexed and searchable. Interestingly, gold and platinum support are charged at minimum costs. The usage-based rates are a percentage of the cost a user spend on Google Cloud Storage which is charged if only if the figure exceeds the minimum support price. Depending on the amount a user spends, this can vary between 3 and 9 percent. In our opinion, Google Cloud Storage again wins this section. The deciding factor for this choice lies in the vast amount of resources and reference material that Google has built up in terms of documentation and libraries. Apart from that, they also have an immensely active community forum at their command. More often than not, these result in a quick and accurate resolution which is what every user wants. While it may be difficult to reach a certain choice on the best cloud backup service provider for you, hopefully, we have provided you with the knowledge to help you make a balanced decision. The actual research before choosing one of these three providers is primarily governed by your needs and how one of these providers can address them best. However, one thing is for sure – as cloud computing matures, the arena will continue to get increasingly competitive, and prices should drop. You can, therefore, be assured to get the most bang for your buck.